Comprehensive development of business relations on the markets of Russia and Iran. Promotion and assistance to commercial initiatives on the territory of our countries. We are always ready to take on a functional role in the implementation of your business objectives in Iran or in Russia, where an issue for you or for your project became a hot button. It offers you the opportunity to use in Iran the resources of CCI and establish contacts with its members. Dear colleagues! Office of the honorary representative of the Russian Federation Chamber of Commerce in the Islamic Republic of Iran draws kindly your attention to the fact that the honorable representative is not the stuff of the CCI in Russia and does not receive from the Russian Chamber of Commerce any money compensation. 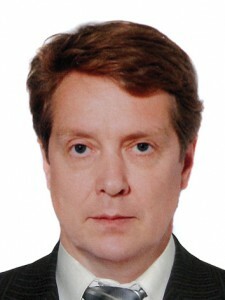 He acts on the basis of power of attorney issued by the Russian Chamber of Commerce, at its own expense and on a voluntary basis, in accordance with the “Regulations on the honorary representative of the Russian Chamber of Commerce.” Honorary Representative holds correspondence with Russian organizations, regional chambers of commerce, entrepreneurs, affiliates of the Russian CCI, on matters within his competence, with the obligatory indication that he is a honorable representative of the Russian Chamber of Commerce. THEREFORE, all applications to the honorary representative of Russian CCI in Iran please send by mail (e-mail) on official letterhead signed by persons authorized for making decision (director, deputy director general, the owner). In the letter, please state the specific tasks that you wish to solve with our help, and also the possibile ways and means to your mind to address these issues, including proposals on the interaction with our office, time and commercial factors availability in your opinion, the possible risks.